Charles E. Heckler, Ph.D., M.S. I have a B.S. in Chemistry (RIT, 1973), M.S. in Applied Statistics (UR, 1981), and Ph.D. in Statistics (UR, 1989). I have been a practicing statistician for over thirty years, and have expertise in many fields, including multivariate analysis, variance components, mixed models, longitudinal analysis, statistical learning, statistical graphics, exploratory analysis and statistical computing (R, SAS, JMP). I have been a key contributor to the design of all clinical trials submitted by the Cancer Control Unit in Radiation Oncology since 2006, and am responsible for the analysis and interpretation of our group's trials, as well as co-authoring publication of the results. In addition, I assist and mentor trainees in the National Cancer Institute Cancer Education and Career Development Program "Cancer Control Research Training Curriculum". In addition to my current position in the Cancer Control unit, I teach statistical computing and exploratory analysis on an adjunct basis in the Fall semester for the Statistics Program in the Department of Mathematics. Assisted the chemistry community in the application of statistical modeling to the understanding of chemical mechanisms, and discovery of superior materials. Was a technical resource to all areas of the company, especially in the area of multivariate modeling, data mining, and statistical graphics. Unit director leading a core statistical technology group that supported the other statisticians in the division, and provided advanced statistical support to the company. Member of a multidisciplinary team charged with developing technology to speed the discovery of new drugs, using structure-activity modeling. Developed a software system for multivariate modeling that is now widely used throughout Kodak. Supported worldwide sensitized goods manufacturing. Developed multivariate methodology and software for dealing with experiments with digitized curves and process control. Provided statistical support for internal and external trade trials. Developed calibration models for several clinical analyzers, and software for the optimization of calibration systems. Assisted in the planning of a laboratory information system. After the facility was built, directed its operations and support staff. Pursued an MS in Statistics part-time at the University. Started as a co-op student performing routine assays. Developed interest and expertise in statistics and computer technology. Set up an analysis and reporting system for quality control data, and assisted the faculty in the statistical analysis of their research data. 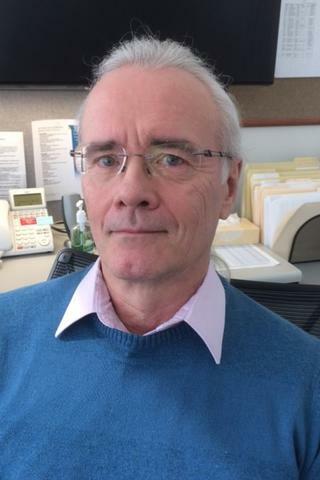 I have over thirty years of applications experience in biostatistics, industrial statistical modeling, and applications of statistical modeling to chemistry (chemometrics). Specific areas of interest and expertise include Computational Statistics, Data Mining;, Experimental Design, Multivariate Analysis, Longitudinal Modeling, Statistical Graphics, Structural Equation Modeling, Variance Components, Mixed Modeling, and Missing Data Analysis. I am skilled in several computer software systems including R, SAS, JMP, and also have experience in Perl, Fortran, and C++. "Racial/Ethnic Differences in Comprehension of Biospecimen Collection: a Nationwide University of Rochester Cancer Center NCI Community Oncology Research Program Study." Journal of cancer education : the official journal of the American Association for Cancer Education.. 2019 Jan 5; Epub 2019 Jan 05. "Cognitive Behavioral Therapy for Insomnia Reduces Depression in Cancer Survivors." Journal of clinical sleep medicine : JCSM : official publication of the American Academy of Sleep Medicine.. 2019 Jan 3; Epub 2019 Jan 03. Schaffer K, Panneerselvam N, Loh KP, Herrmann R, Kleckner IR, Dunne RF, Lin PJ, Heckler CE, Gerbino N, Bruckner LB, Storozynsky E, Ky B, Baran A, Mohile SG, Mustian KM, Fung C. "Systematic Review of Randomized Controlled Trials of Exercise Interventions Using Digital Activity Trackers in Patients With Cancer." Journal of the National Comprehensive Cancer Network : JNCCN.. 2019 Jan 0; 17(1):57-63.